The sourcebook we’re looking at today is Defilers and Preservers: The Wizards of Athas, published in 1996. It is softcover and runs 96 pages. The book is divided into 5 chapters. This supplement was written after the Dark Sun Campaign Setting, Expanded and Revised edition was released and thus uses the updated timeline of Dark Sun. The purpose of this chapter is to provide a general overview of magic and casting on Athas and within the Dark Sun setting. Already by the second paragraph we start to diverge from the 4E setting. Mention is made of the Cerulean Storm, the Gray and the Black. The Cerulean Storm is a consequence of the advanced timeline. In this case the Storm was created when the originator of magic and a hero from the fiction books collided in a mighty struggle that saw Athas change. To include this presents a couple of problems. The first and most obvious is that the Storm is not part of the 4E “canon” and thus will be disruptive to any future adventures or source material WotC may release for the 4E setting in the future. The second is that a DM may want to wait on timeline in order to use the timeline as a base for upcoming adventures. If neither of these bother you, feel free to include the Storm as a source of magic. The Gray and Black are alternate planes. The Gray is listed as the plane of the dead, where those that die go. This is different than the 4E take on the Gray (the Shadowfell), but using the 4E version should allow a GM to mesh the two versions together. However, the Black is a null void surrounding all. It is described as being similar to the demi-plane of shadow. This sounds a lot like the Shadowfell. A GM has a few options here. He can ignore the Black and any mention of it; he can rule the Black/Gray/Shadowfell are all the same thing; he can use the Black as written in the 2E sourcebook and add it to the 4E setting. The chapter next touches on the differences between defiling and non-defiling magic. It goes into the concept of the Energy of Life and how it is used to power spells. It then expounds on the differences between defiling and preserver magic, with preserver magic being a conscience effort to not harm the planet. It then goes into the game mechanics that simulate this difference. However, these game mechanics do not work with the 4E rule set (slower spell progression and the system for memorization of spells) as they are too different to integrate. A table is provided for a caster who uses defiling casting techniques to determine exactly how much area is defiled while casting. It goes off the level of the spell (which is not on the same scale as 4E powers) and the type of terrain it is being cast in. A GM could triple the level of the spell on the table to bring it close to the 4E equivalent if he was so inclined. This table is more for fluff than any real game changing effect. Next up is The History of Magic. This is also a history of the world setting, just seen from the point of view of magic. It is a fascinating version of the history of the world. 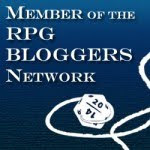 The 4E setting goes out of its way to avoid the topic of the setting’s history, stating it is lost or hidden from the average person/adventurer, so there is no “canonical” version of the history of the world. As such, it is real easy to accept this version of history as your official version. The history is rich in detail and makes for a wonderful background to the world. It also doesn’t contradict anything in the 4E setting. The chapter starts with a basic discourse on spell books. After that it discusses the Threefold Path. According to the sourcebook there are no specialist wizards, like illusionists or abjurers. It then discusses three paths, Path Sinister, Path of Concurrence and Path Dexter (no, not the serial killer). It then takes the 2E specialist wizard types and lumps them into the three Paths. Sorta like having specialist wizards but not wanting to call them that. Either way, all a caster gets is a bonus to learning spells. 4E has largely done away with much of what the section discusses so it is not of much use for a 4E campaign. Next is a Comprehensive Spell List. This topic lists all the spells within the 2E system (specifically from Tome of Magics and Complete Wizard’s handbook) that are compatible with the Dark Sun setting. It then goes into any alterations that are needed for other 2E spells to make them compatible for Dark Sun. After that is goes into mechanics showing how a Dark Sun wizard can progress from level 20 to level 30 (the ability to go over level 20 was a new addition to 2E at around this time). As such this section is not of any use for a 4E campaign. The following section deals with the question of Switching Roles from being a defiler to a preserver or vice versa. As 4E handles the use of defiling magic as more of a choice at the time of casting and not as a result of the spells chosen, this section is not of much use. Unfortunately, most of this information is mechanic and doesn’t provide for any role-laying aspects of an NPC or PC wishing to make a change in their spellcasting style; otherwise this section may have been of more use. This is followed by a treatise on the Veiled Alliance. The information is broad and generalized and nothing is added that the 4E book does not already cover. Next is one of the more useful sections of the book. It is all about Advanced Beings, specifically about how to become a Dragon King or Avangion. The 4E book has both of these as Epic Destinies. This book goes into a lot of fine detail about the process of becoming one of these great beings. A person gaining these epic destinies undergoes a physical transformation and this book describes exactly how this transformation occurs from levels 21 to 30, listing how the person changes at each level gained. It is a useful addition to the process and makes gaining such an epic destiny feel truly epic. Also briefly mentioned is Oronis a reformed dragon king that is now the worlds first Avangion. This is part of the advanced timeline and is part of a section of Athas that is not detailed in the 4E campaign setting. However, he could be included in a 4E setting if a GM is so inclined. 2E used a lot of character kits. These are essentially watered down character themes. In 2E they were used more as role-playing guidelines, as they provided minimal advantages to a character. This chapter discusses various character kits that could be used by a spellcaster in the Dark Sun setting. As written it is of little use in a 4E campaign, except as an idea factory for creating your own themes or as a concept for a particular NPC. All together there are 13 kits mentioned. Advanced Being- This is the kit for a person wishing to become a Dragon King or Avangion and as such is already covered in 4E by their respective epic destiny. Arena Mage- As you would suspect this is a kit for spellcasters who use their magic within an arena. As such, they focus on broad displays, while working to hide the fact they are using magic. This could be adapted into a theme, though it seems rather narrow. Cerulean- These use the Cerulean Storm as a power source. Since the Cerulean Storm has not happened yet in the 4E setting (nor may it ever in your own campaigns), this is of little value. Chasseur- This kit describes a spellcaster who uses his magic to hunt and hurt other spellcasters. They were often once in the employ/slave of a sorcerer-king, but had at one point escaped their hold. This would make for an interesting theme wherein most of their powers would be directed to disrupting other spellcasters. This sounds a lot like a controller. Earth Defender- These actively and aggressively work toward preserving and protecting the blighted land. 4E has the Primal Defender character theme which can easily cover this kit. Exterminator- This kit is all about defilers who get off on destroying as much of the world as possible with their defiling magics. Again this is more of a role-playing aspect and does not require a full-blown theme. Free Wizard- A spellcaster from Tyr and thus is not required to hide his magic. Not worth a theme. Illusionist- Already within the 4E rule set. Mercenary- A spellcaster who sells his magic to the highest bidder. Again, a role-playing shtick not requiring a theme. Restorationist- This is a preserver along the same lines as the earth defender. The subtle difference might be that the Restorationist is more about making the land green again as opposed to simply protecting what is already green. Again, 4E has the Primal Defender character theme which can easily cover this kit. Shadow Wizard- A spellcaster who uses the Black (Shadowfell) as his source of magic. This could be turned into a theme, but is more a thematic choice than a real theme. Tribal Wizard- A spellcaster from a tribe. This is a role-playing background. Necromancer- Casters who gain their power from the Gray (Shadowfell). This is more about spell choices and how they are used as opposed to something that requires a theme. There are 61 new spells listed. It would take a lot of work to integrate these into the 4E setting and rule set. However, there are a lot of good ideas to be found here if you are willing to do the work. Some spells would be rituals and some could be used to augment an already established spellcaster class by adding another power choice at certain levels. Some could also be applied toward turning one of the above kits into a theme. One thing to be careful of is the spells that negate the harshness of the 4E setting. Within the 4E setting book it is mentioned that certain spells should not be allowed within the setting as they negate the dangers of the setting (such things as easily obtained water). For example, the first spell mentioned in this chapter is Cooling Canopy, a spell that negates the sun’s damage and reduces the need for water; as such it should not be included in a 4E setting campaign. The last chapter deals with proficiencies or the 2E version of skills and weapon feats. It introduces some new nonweapon proficiencies, but these could be considered to be already covered under the broader 4E skills. Therefore this chapter, as a whole, is not of any use. Three are 16 pieces of art within the book. However, while the quality is good, they are not of much use as set pieces or to show a scene. Overall: The majority of the sourcebook is mired in 2E trappings and is difficult to make use of in a 4E campaign. There are a couple of kernels of useful information (the history and epic destiny progressions) but these are rare.